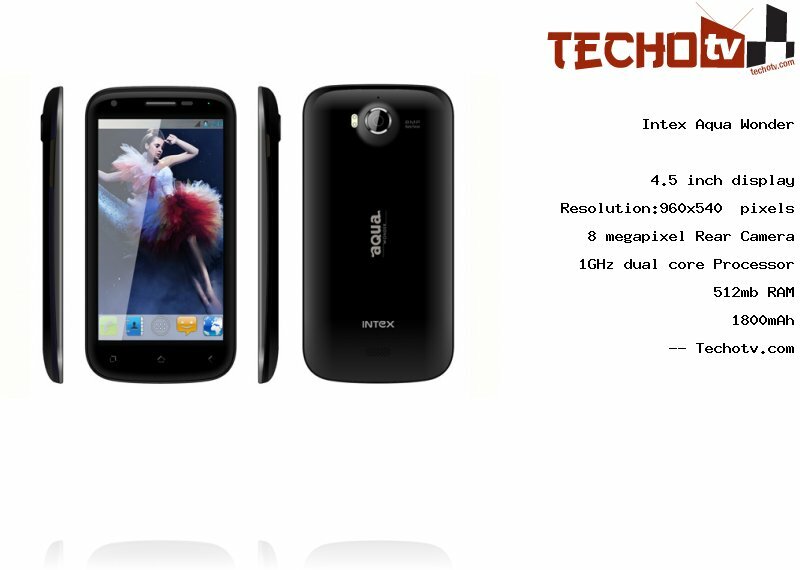 This Intex phone performs resonably good, thanks to its 1GHz dual core processor. RAM is not huge as it has just 512 mb. On its 4.5 inch screen, the display resolution is 960*540 pixels. The pixel density is 245 ppi which is neither bad nor very good. It features about 1.93 GB as its internal memory. On the back is located a 8 megapixel camera. On the front side, there is 1.3mp camera also. The Price of Intex Aqua Wonder is Rs 9990. More pricing details from different online stores are not available at the moment. Dual SIM (GSM + GSM) Jelly Bean Android phone. 3G on 1st sim card. 3G Video Calling also supported. Proximity sensor, light sensor, motion sensor, etc. flip to mute feature for music.